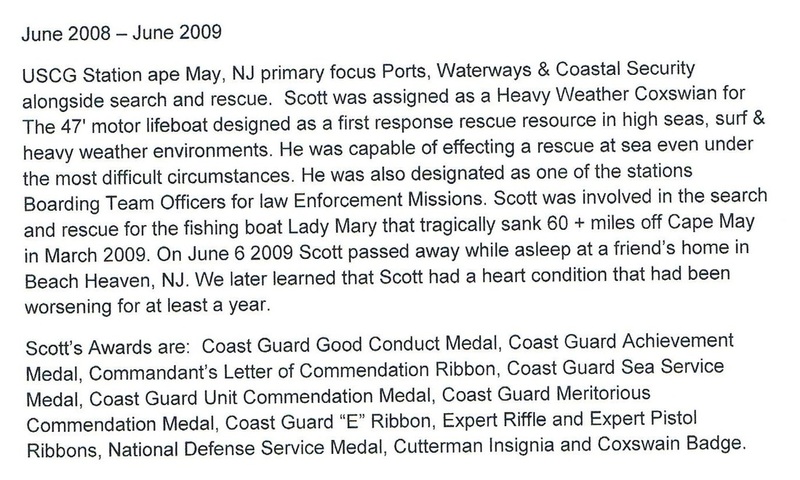 Scott M. Lape, 29, of Barnegat, passed away Saturday, June 6, 2009. He was born in Staten Island, N.Y., residing in N.J. He graduated from Monsignor Donovan High School, Toms River. 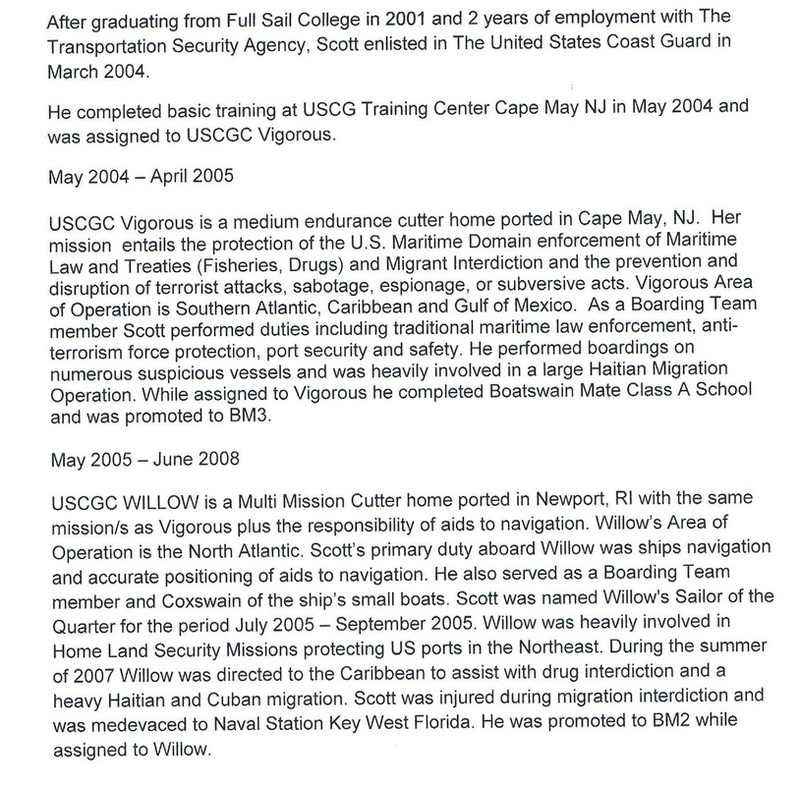 He was serving his second enlistment in the U.S. Coast Guard, and was stationed in Cape May. He was a boatswain mate second class. 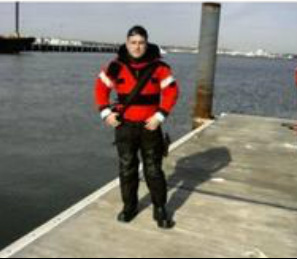 He is survived by his wife, Nicole; a son, Alek; his parents, Frank and Linda Lape of Barnegat; a brother, Marc of Barnegat; and his maternal grandparents, Martin and Vivian Presti of Marlboro. A viewing will be from 2 to 4 p.m. and 7 to 9 p.m. Tuesday, June 9 and 9 to 10 a.m. Wednesday, June 10 at Wood Funeral Home, 134 E. Mount St., Tuckerton. 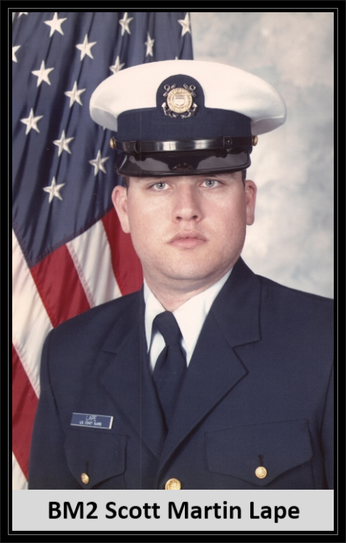 Services will be held at 11 a.m. Wednesday, June 10 at Barnegat Light Coast Guard Station, Barnegat Light. Memorial contributions may be made to BARC, or American Heart Association .